One of the axiomatic truths of the Dungeons & Dragons “edition wars” is that 3.5/Pathfinder is the “system mastery” edition. Between the Open Gaming License opening the system to third party content and Wizards of the Coast’s business strategy around monthly releases of splatbooks, the 3rd and 3.5 Editions of the game quickly bloated with options for classes, prestige classes, feats, and spells. Paizo Publishing’s Pathfinder rebooted D&D 3.5 and fixed a number of issues with the system, particularly the resulting class imbalance, but it still embraced the variety of character options. Catering to new players? Over-optimized? 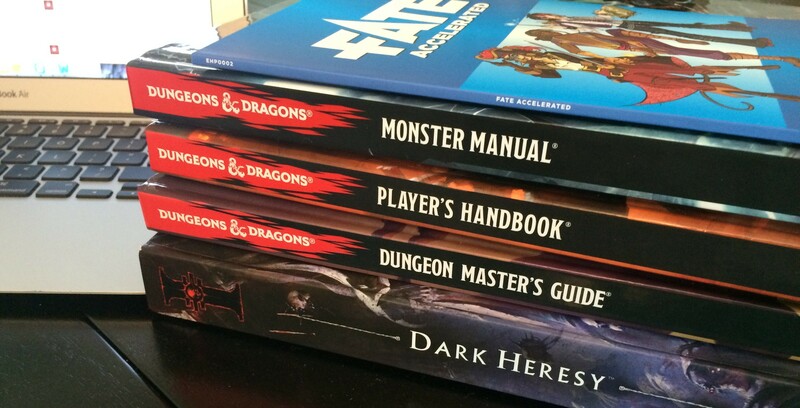 Don’t look now, but there’s a battle a-brewin’ between Wizards and Paizo. As the flagship brand in the hobby, Dungeons & Dragons (and its publisher, Wizards of the Coast) sets the pace for the industry. The business model really hasn’t changed much in the past 40 years: sell the core books to everyone, sell the splatbooks to players, sell the adventure modules to dungeon masters. Sure, each edition has changed the product mix a bit, but the only major departure was 4th Edition’s introduction of the D&D Insider online tools, which gave online access to all of the published splatbook content for a monthly subscription. 5th Edition looked poised to be the first edition of D&D to offer true “digital copies” of the books through the DungeonScape app (née Codename: Morningstar), but that plan ended after a rocky beta test. Then, Wizards of the Coast surprised us all by giving away the “Basic Rules” for free online in PDF form in advance of the Player’s Handbook release. Granted, the Basic Rules are extremely basic, but it seemed a step in the right direction for Wizards to lower the barrier to entry into the game and generate interest with a new, younger audience. 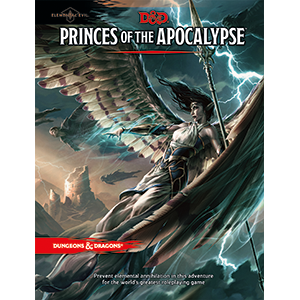 With today’s announcement on the product line for the Elemental Evil campaign, though, Wizards has taken the D&D business model in another new direction, scrapping the previously planned Elemental Evil-branded Adventurer’s Guide splatbook, merging it into the Princes of the Apocalypse adventure module, and releasing the player content for free. I’ve reached out to Mike Mearls on Twitter to clarify if this approach is unique to the Elemental Evil products, or if it represents their plan going forward. I haven’t heard back I’ve appended the post with his response below, but that won’t stop me from making some assumptions and reckless predictions going forward.